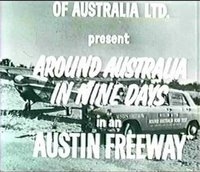 I've managed to obtain copies of two great Australian documentaries from the 1960's. 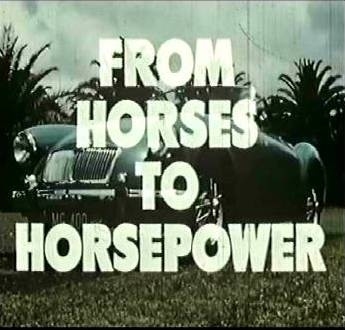 The story of how BMC built their first motor plant in Australia, on the site of an old horse racing track, back in 1959. It's a fascinating glimpse of 1950's Britain transported to Oz. Following the building of the plant and entire car production, from assembling the B Series engines to stamping the panels and rust proofing them! 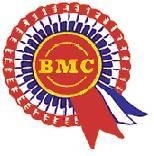 This is a must for any fan of 1950's & 60's BMC cars. 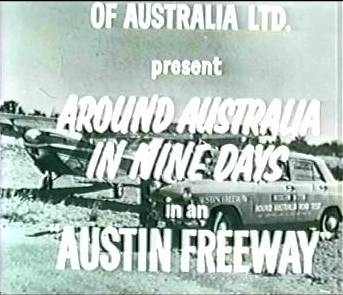 This is a documentary by two motoring journalists who take an Austin Freeway (Cambridge) on a 8,000 mile lap of Oz - in record time. The hammering this car takes is amazing - crossing the Outback on little more than dust roads. Through floods and drought this thing just keeps on going. If you cringe taking your Farina over a speed-bump then this isn't for you!